THE HEART IS the physical center of the circulatory system, managing over 75 trillion cells. It is also the electromagnetic center of the body, emanating thousands of times more electricity and magnetism than does the brain. Even more impressively, it is an organ of communication that can potentially manage the body's intuitive processes. The heart's electromagnetic field (EMF) is five thousand times stronger than that of the brain. Its electrical field is sixty times greater than that of the brain. Not only is its electromagnetic capacity greater than that of the brain, but it is organically capable of performing certain brain-like functions. In fact, between 60 and 65 percent of its cells are neural, identical to those present in the brain. Energy-information that vibrates-flows constantly between the heart and the brain, assisting with emotional processing, sensory experience, memory and derivation of meaning from events, and reasoning. In addition, the heart is one of the body's major endocrine glands, producing at least five major hormones, which impact the physiological functions of the brain and body. The heart has long been known as the center of the body, as well as the home of the soul. Under the correct conditions, such as when a person consciously "centers" or focuses in the heart, the heart begins to run the brain. (Most typically, the brain runs the body.) Entrainment or the management of the body through the heart rather than brain leads to higher functioning mental and emotional states, as well as a healthier body. It also enables a person to screen the outer environment for "good messages" instead of "negative messages," enabling a more positive relationship with the external world. This "heart healing power" is possible because of the energetic nature of the body. 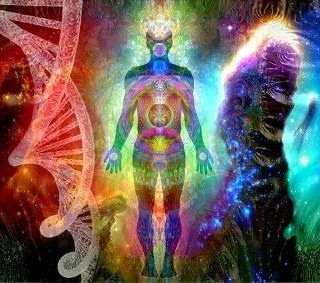 All energy contains information and all cells are energetic. The closer a group of cells, the more likely they are to oscillate or vibrate in a coordinated rhythm thereby producing a more powerful and intense signal. Heart cells are tightly organized, thus generating an extremely strong, shared signal. which is both electrical and magnetic. The heart', internal signal is stronger than any produced by other parts of the body because it is more intense Thus can the heart dynamically move into the lead position in the body, its rhythms able to modulate or "take over" those of the other organs. What about its relationship with the external world? We are constantly receiving information-sometimes called "background noise"-from outside of ourselves. Not only can the heart override the coming flow of communiqués, but it can also sort and filter information from the world outside the body--even intuitive information. As explained by researcher Stephen Harrod Buhner in his book The Secret Teachings of Plants, highly synchronized cells, such as those compactly organized in the heart, are able to use background noise to increase the amplitude of an incoming signal-if they are interested in perceiving it. The heart will "hear" what it is programmed to "hear." If love resides in the heart, it will attune to love. If fear, greed, or envy resides within, the heart will access negativity. Most people believe that the brain initiates the first response to incoming events and then orders our reactions. Analysis reveals, however, that incoming information first impacts the heart, and through the heart, the brain and then the rest of the body. Our hearts are so strong that they can actually formulate the most well known symbol of love: light. Research has shown that under certain conditions, a meditator can actually generate visible light from the heart. The meditation technique must be heart-centered, not transcendent. When this occurred during studies at the University of Kassel in Germany in 1997, the heart emanated sustained light of one hundred thousand photons per second, whereas the background had a count of only twenty photons per second. The meditations drew upon energetic understandings from several cultures, including the Hindu practice of kundalini. It has been said that the heart is the center of the body, but it might also be the core of a subtle universe-or perhaps a "subtle sun" generated by every individual.